The US cent has been with us for over 225 years. First as the Large Cent, then the Flying Eagle/Indian Head Cent and then the Lincoln Cent. 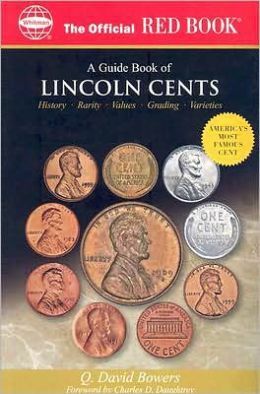 The Lincoln Cent has been around nearly 100 years. 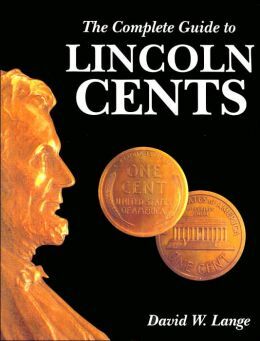 The correct terminology is cent even though many refer to the coin as a penny. The term cent and penny will be used interchangeably in this article. During those 225 plus years, much has changed. When the coin was first authorized, it was not the lowest denomination. The Half-Cent was. The Half-Cent was produced for over 60 years until it was determined that it no longer made sense. Is it now time to eliminate the US one cent piece? That is the debate amongst coin collectors, congress and others. Every so often, someone in political office submits a bill to eliminate the cent, but it has always failed. Frankly, there are no solid reasons to keep the cent. You cannot buy anything for a penny, two pennies, three pennies or four pennies. Sure, our decimal system dictates that transactions are in cents, but there are ways to get to get around that with rounding. Getting rid of the cent in circulation does not mean that it will be gone from your checking account. All electronic transactions can still be done in cents, if needed. Another reason there is mounting pressure to eliminate the cent, is that it actually now costs more than a cent to make a cent. If any other business was producing a product that was losing money, they would stop making it. Not the US government though. When you look at the total production of US cents over the life of the Lincoln Cent, way over 465 billion, yes BILLION, cents have been produced. The great majority of them well after the change to the current design. One would think that with all these cents in circulation, there would be an ample supply. Yet the Mint still produces around 8-12 billion more cents each year. Although there is mounting pressure to keep the penny, the penny still does have its supporters. Many collectors have a soft spot for the penny as it is typically the first coin that many people begin to collect. There are those who feel that eliminating the penny would hurt the poor and that retail stores wikll figure out a way to cheat the public out of a few pennies per transaction if rounding occurred. For example, if an item is priced at 99 cents, it will now cost a dollar. This of course is if you only purchased one item. If you purchased that one item now, and you received back in change a penny, what would you do with it? The sad reality is, is that penny will not see circulation until you accumulate a pile of them and bring it to the bank or it goes through a counting machine after you donated it to the MDA or other collection jar by most cash registers. This brings up another point, many charities may suffer because now most people drop their pennies into these charity collection jars. If the US government intends to keep the penny, the most critical issue facing congress and the Mint is to change the alloy to another metal that is cheaper than the current one. This may also be a short term fix as this has happened already with the cent and other denominations before. Unknown to most people is that in 1982, the composition of the cent was changed from mostly a copper cent to a copper plated zinc cent. Few people noticed as the appearance did not change. As you likely know, silver was taken out of the other denominations in 1965 as silver made the face value of a quarter worth more than a quarter. Now the zinc in a penny is making the penny cost more than a penny to produce. It is only a matter of time before the whole US coinage system will need to be revamped. Public Opinion is somewhat split on this topic. What’s your opinion?